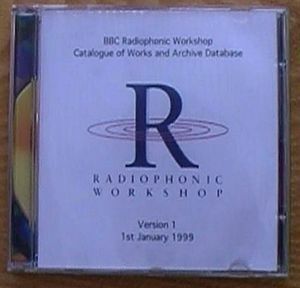 BBC Radiophonic Archive - surviving work is the title of an Excel database listing the tapes in the BBC's Sound Archive that are from the BBC Radiophonic Workshop, giving the TRW number, Title, Series and Composer for each. Another listing of the same items, but with more detail, is the Tape Library List; both are derived from the same Radiophonic Database. The lines in it that are credited to Delia are included in the listing on the page Category:TRW. This page was last modified on 24 June 2014, at 22:17.